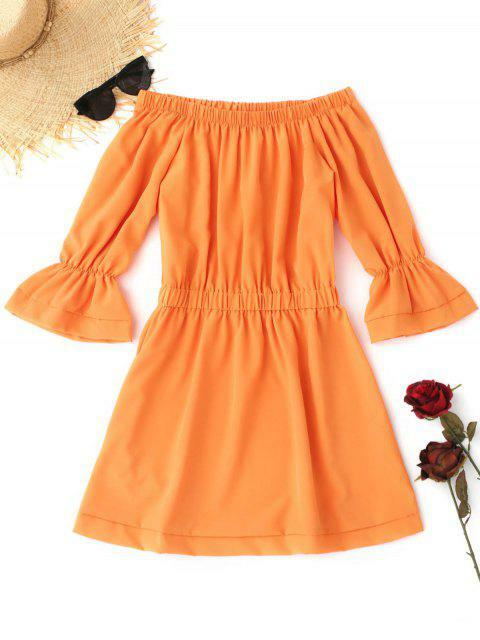 [41% OFF] 2019 Off The Shoulder Flare Sleeve Dress In ORANGE | ZAFUL .. In a brief yet trendy way, this dress takes on a solid color hue. It features an eye-catching elasticated off the shoulder collar with cute flare sleeves. Elastic waist design creates A-line style.